ESCANABA – Two Upper Peninsula vineyards won medals at the 2014 International Cold Climate Wine Competition Tuesday in Minnesota. Northern Sun Winery in Bark River won a Bronze and Leigh’s Garden Winery in Escanaba won a gold, silver and three broze medals at the event this week. Leigh Schmidt at Leigh’s Garden Winery said he continues to make changes in his wine making process to improve the qualitites of his wines. “We’ve studied more, we’ve dedicated more time to fermentation, we’ve looked into new products like different yeasts in order to ferment our products out better,” he said. 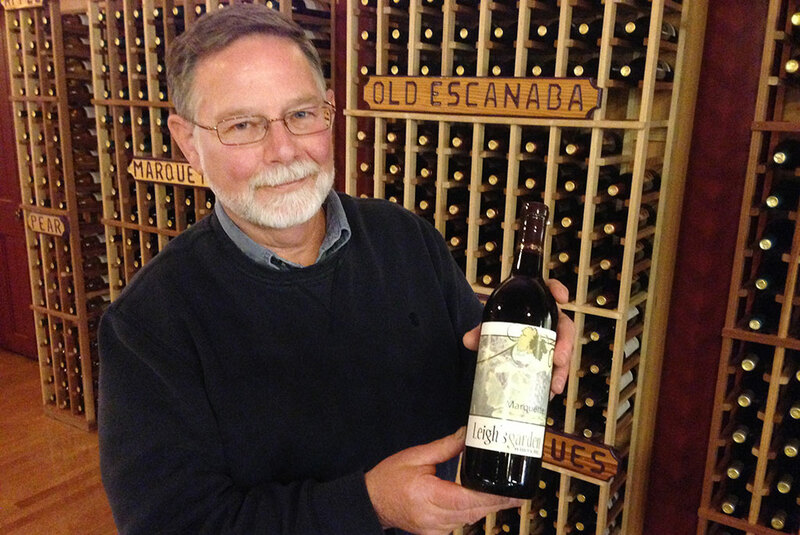 The Gold Medal was for a 2013 Marquette wine that Schmidt said was developed specifically for colder climates. “I know the Marquette, being a dry wine, was judged among the other Marquette wine. It’s a category that we entered it in. As a dry wine, it really came out nice,” said Schmidt. The Silver Medal was for a 2013 Marechal Foch. The three Bronze Medals were awarded for the Bay de Noc Red, Ludington Street Blues and Old Escanaba. All three were a 2013 vintage. Dave and Susie Anthony at Northern Sun Winery won a Bronze Medal for a 2011 Sole di Sera, a semi-sweet red. The competition included 284 wines from 59 wineries in 11 states. Awards were based on blind tastings by 21 judges. Schmidt said the development of grapes that can grow in colder climates are expanding wine opportunities in places like the Upper Peninsula. Share the post "Upper Peninsula vineyards place at international wine competition"
Categories: Agriculture, Business, and Delta County.